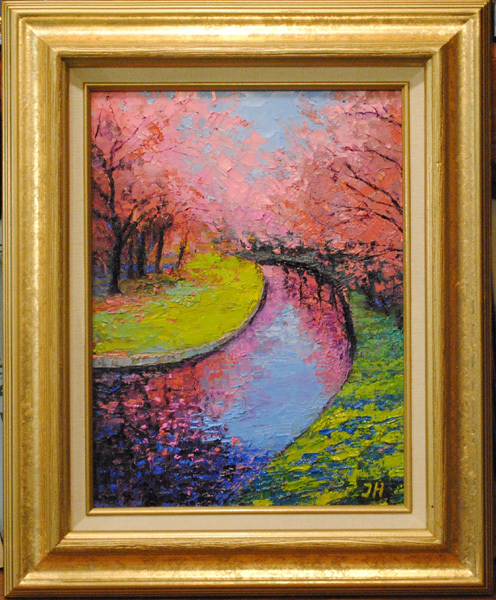 Flowering cherries over the water. Oil on canvas 9"X12". Framed painting will be available for sale on June 14 at my Ebay store.